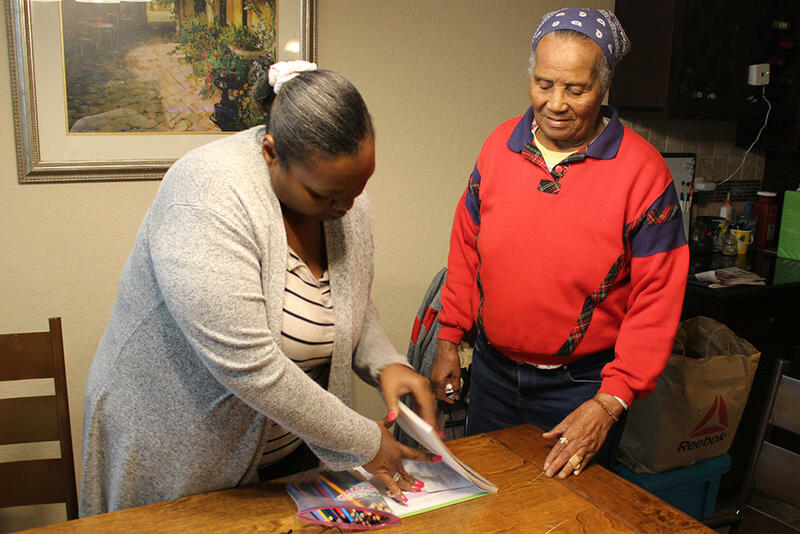 At a medical foster home near San Antonio, caregiver Tiffany Graves (left) sets out art supplies for Rose Witherspoon, a World War II veteran. For thousands of elderly veterans, long term care means living in a nursing home or institutional care setting. But some have found a much homier option. Carson Frame reports that medical foster homes are an option for older vets. Tiffany Graves' residence is a newish, single-family home in the San Antonio suburbs. Graves, a registered nurse, is a round-the-clock caregiver for three disabled veterans who share the space with her. "I'm here with these vets all the time. So I become their caregivers, their mothers, their sisters, I'm everything," she said. "I know them better, most of the time, than their own families do." Graves runs a medical foster home, participating in a Department of Veterans Affairs program that pairs eligible veterans with private caregivers and oversees their long-term care. It targets veterans who prefer to live in a family setting but have complex diseases or medical conditions that make it difficult for them to live alone. The program, in place for nearly two decades, serves more than a thousand veterans around the country. In the San Antonio area, it costs each veteran, on average, about $2500 a month. As a caregiver, Graves helps her veteran clients carry out the activities of daily living, such as bathing and getting dressed. 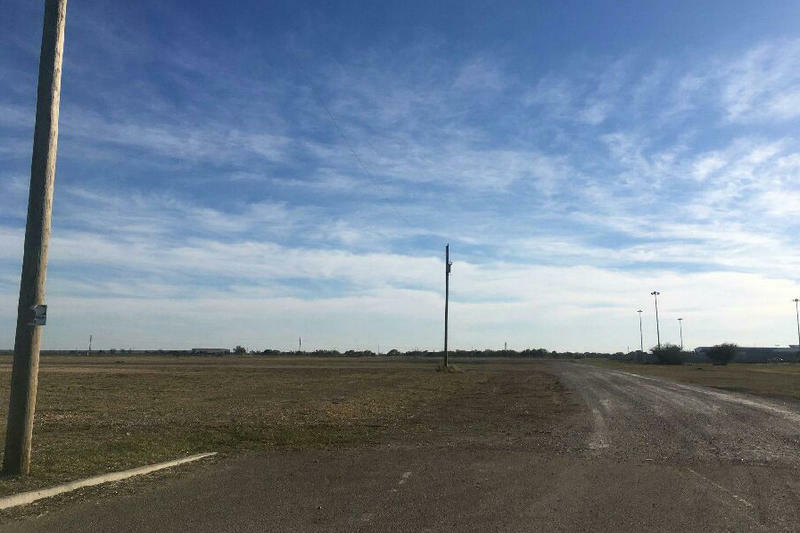 She also helps manage their medications, and coordinates with their primary care providers at the South Texas VA.
One of Graves' charges is 95 year-old World War II veteran Rose Witherspoon, who was one of the first African Americans in the Women's Army Corps. "This is where we can come up and relax," said Witherspoon as she moved through the living room with her walker. "We get to eat over at the table, and we watch everybody else eat and be sure that they're eating the same thing." Witherspoon moved into medical foster care after glaucoma caused her eyesight to worsen. She said she feels comfortable with her veteran housemates. "I never, for one moment since I met them, felt that I was in a house of people I didn't know," she said. "They were like the people in my experiences in life: treated people with kindness and love." Some patients derive health benefits from the close, communal environment, according to Sandra Bonciolini, the medical foster home program coordinator for the South Texas Veterans Health System. "We have shown that it reduces emergency room visits and hospitalizations," she said. "Because they're getting proper meals. They're getting their medications. They have that social aspect." But for some veterans, the choice to move to a medical foster home is determined by cost as much as preference. Under current law, VA can't pay for medical foster home care, which runs anywhere from $1000 to $3000 a month. However, it will pay for traditional VA nursing home care, which is much more costly. For Republican Congressman Clay Higgins of Louisiana, that leaves veterans without real options. "It's a personal decision to be made by that patient, by that veteran, and that veteran's family," he said. Higgins said veterans in his district generally try to stay in home-like settings as long as possible, and they often cobble together their pensions, social security disability, savings, and other VA benefits together to afford medical foster care. "They were using their benefits as best they could to receive care at home and yet, their home setting was maybe not designed for long-term care as a medical foster home would be," Higgins explained. "So they were paying for medical foster homes out of their pocket." This year, Higgins introduced a bill to change that. It would allow the VA to expand paid medical foster home care to certain veterans with service-connected disabilities. Though it passed the House unanimously, it didn't come up in the Senate. Higgins plans to reintroduce it in next year's congress. Veterans groups including the Disabled American Veterans, the American Legion, Veterans of Foreign Wars, and the Military Officers Association of America are behind the idea. 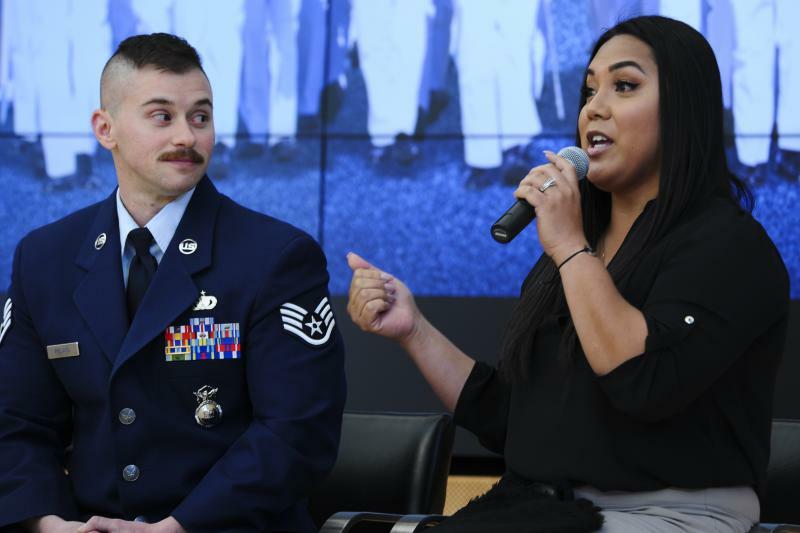 "If the veteran can remain in their home environment and receive adequate caregiver services to meet their needs at a lesser cost, then that's a win-win for the veteran and a win-win for American taxpayers," said Roscoe Butler, the American Legion's deputy director for healthcare. The Congressional Budget Office estimates that the bill would cost about $200 million over the first decade. If it passes, more than 328,000 veterans in the first year might be able to take advantage of medical foster homes. 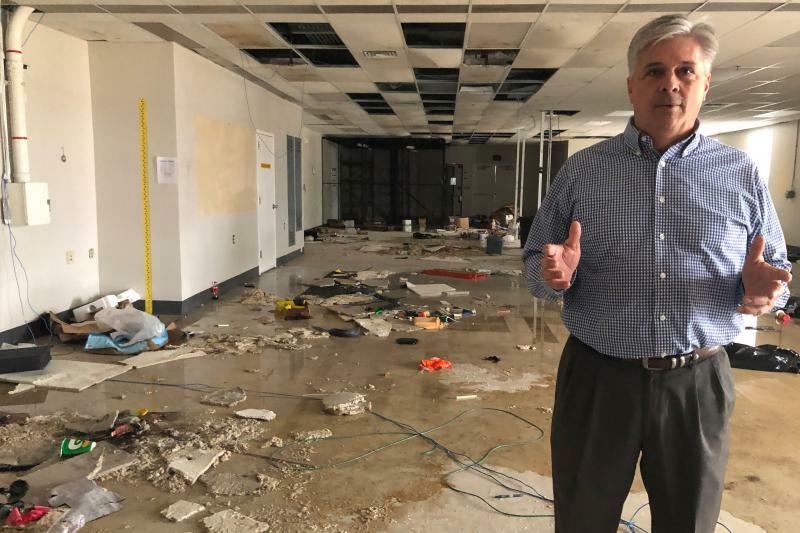 The Marine Corps says Camp Lejeune, N.C. needs $3.6 billion in repairs, as scientists warn climate change will lead to more big storms and affect military readiness. Thousands of troops who were deployed to the border in the fall have left, but the Trump Administration may call for a second deployment of thousands more.